This blog is brought to you by Team Airdropalert to guide you throug the Exclusive Airdrop of CEEK Virtual Reality, organised by AirdropAlert.com. 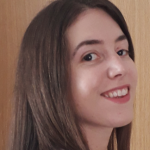 Experienced in developing and distributing Virtual Reality (VR) related software, CEEK VR strives to utilize the blockchain and use the tokens so that the CEEK customers can experience live VR shows, on-stage, never as close before; U2, Katy Perry, Lady Ga ga, etc. The Pre-Sale has started on February the 5th and will end on February the 18 th. Note that the first pre-sale week, investors will receive 30% bonus tokens, whereas in the second pre-sale week the bonus is 20%. The ICO will continue for two weeks more, as Public Sale, until March the 4th. In the third week(19/Feb–25/Feb) the bonus is 10% and in the last week (26/Feb–4/March) 0%. 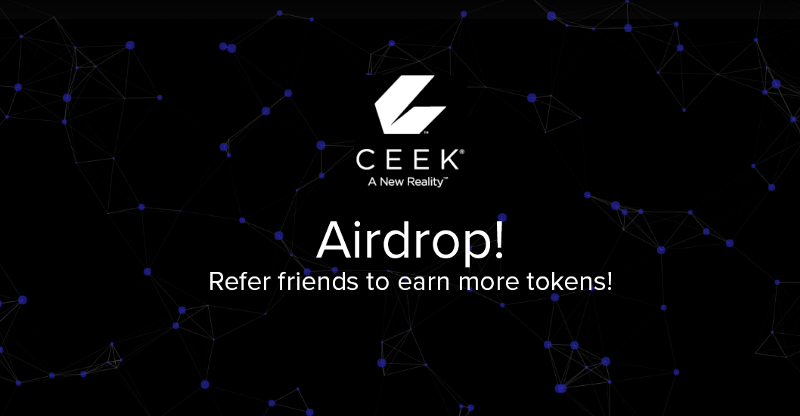 To spread the news on the project, CEEK VR has announced to airdrop 225,000 CEEK tokens and will be managed by us, AirdropAlert.com. Doing an airdrop is an excellent way to reach out to the community and create a general awareness. 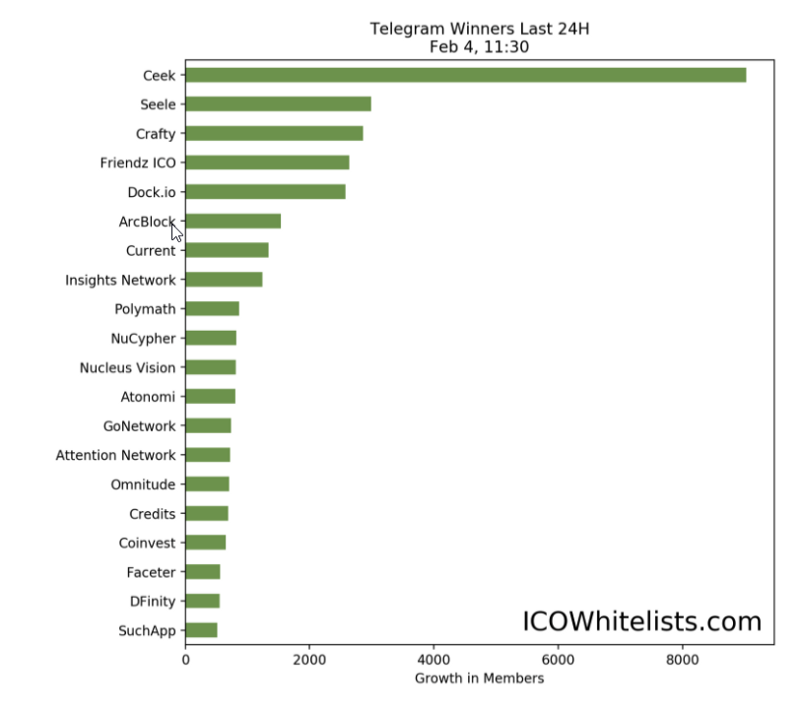 The figure below shows the top performing telegram channels in number of new members over 24 hours (24 hours from the start of the Airdrop announcement). The remainder of this blog consists of a step to step guide in GIF format on how to participate in the Airdrop. They can take a minute to load, please be patient. Screen record 1 of the process of applying for the Exclusive Airdrop CEEK from Emma Cheyenne on Vimeo. Once you have filled in the airdrop form, you will see a webpage where a referral code is displayed. Don’t worry, this code is also mentioned in the confirmation mail. You can use this referral link to invite your friends to join the airdrop as well, except you will earn additional tokens for each referral. The gif below shows how you can check the number of referrals you got by visiting this page. Screen record 2 of the process of applying for the Exclusive Airdrop CEEK from Emma Cheyenne on Vimeo. 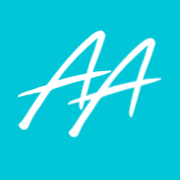 We hope that this blog has been helpful, to stay up to date with new airdrops, follow us on Twitter & Telegram. AirdropAlert.com never miss a free cryptocurrency airdrop again!